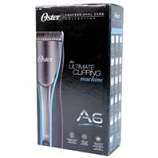 From the introduction of the first sheep shearing machine in the US back in the 1880s to the hundreds of innovations that followed throughout the years, Oster? Professional Products has consistently proven to be better equipped to meet your grooming needs. • Easily Flushes Away Hair That Accumulates On Cutting Blades. • Provides Lubrication For Clipper Blades. • Well-Lubricated Blades Are Important For Optimal Product Operation and Safety. • Pour Blade Wash Into A Shallow Container Such As A Small Bowl Or Saucer. • Immerse Clipper Blades While Running To Clean and Lubricate Blades. • One Quick Spray Delivers Instant Cooling, Lubrication, and Cleaning Of Clipper Blades. • Reduces Friction, Heat and Blade Wear. • Simple Routine Maintenance Will Help Keep Your Blades and Clippers In Optimal Working Order Far Into The Future. • Use This High Quality Professional Grade Lubricant To Keep Your Grooming Clippers and Blades In Optimal Working Condition. • A Blade That Is Not Properly Lubricated Can Catch and Accidentally Injure Your Pet. • Frequent Lubrication Is A Must. • Non-Detergent Oil For Clippers and Blades. • Developed For Professional Use. • Use This Oil To Keep Blades and Clippers Operating Properly So As To Prevent Accidental Injury To The Animal. • Keep Clippers and Blades Well Oiled So That The Moving Parts Operate Smoothly. • Top Blade and Bottom Blade Are Packaged Together For Your Convenience. • This Product Is Designed To Be Used In The Clipmaster Clipper. • Use This High Quality Professional Grade Set Of Blades In The Clipmaster Clipper In Order To Achieve An Attractive Finished. • Heavy Duty Single Speed For Body Clipping. • Gently Cleans and Massages Sensitive Areas Like Legs and Face. • Aids In Shedding and Cleaning. • Gentle Cleaning Will Avoid Hurting Sensitive Areas. • Fine Fingers Gently Clean and Massage Sensitive Areas. • Heavy Duty Single Speed Clipper For Shearing Sheep. • Its 13 Tooth Comb and 4 Point Cutter Gives A High Quality Shearing Job. • Design Puts More Pressure On Points To Improve Performance. • Works On Sheep and Cattle. • For Use On The Three Inch Shearing Head and Professional Hand Pieces. • Brushes Off Dirt and Hair From Horses. • Smoothes The Hair and Aids In Cleaning. • Daily Brushing Is Necessary To Remove Dirt and Loose Hair From Horses. • Improves Coat Health and Overall Appearance Of Horse. • Innovative Handle Easily Fits Either A Mans Hand Or A Womans Hand. • Hard, Coarse Bristles Remove Dirt With Less Effort. • Provides Up To 2 Hours Of Run Time When Fully Charged! • Removes Dirt and Hair When Used In A Circular Motion. • Aids In Shedding and Deep Cleaning. • Also Appropriate For Removing Anything Your Horse May Pick Up In His Coat..
• Coarse Fingers Massage The Coat and Loosen Dirt For An Overall Cleaning. • The Gentle Massage Motion Improves Blood Circulation. • Top Blade For The Clipmaster Clipper. • Use For Every Clipping Job. • Home Grooming Helps To Save Time and Money For The Owner, As Well As Reduces Stress For The Animal. • Make Grooming Enjoyable For All Participants. • Power Max 2 Speed Clipper,# 10 Blade, Oil, Cleaning Brush. • Small Or Large Animal Clipping and Grooming. 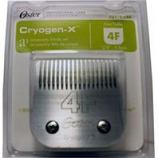 • Contains Clipper,# 10 Blade, Blade Guard, Oil and 2 Drive Tips. • Up To 4200 Strokes Per Minute For Trimming Or Heavy Duty Clipping. • Rubberized Grip For Easy To Hold Clipping. • Great For All Around and Precise Clipping. 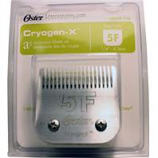 • Clipper Blade For A-5 Compatible Clipper. • Leaves Hair 1/16Th. Wide Cut Allows For Less Clipping Time. Perfect For Equine. • Use This High Quality Professional Grade Blade Set In Your Clippers To Give Your Pet A Grooming At Home. • Leaves Hair 1/4 Inch In Length. • Titanium Coating Allows For Smoother Cut and Less Sharpening. • Perfect For Regular Grooming Necessary For The Best Health Of Your Horse. • Powerful, Heavy Duty Single Speed Equine Clipper. Up To 4000 Strokes Per Minute. • Universal Motor Technology To Handle Any Type Of Animal S Coat. • Glides Through Thick, Coarse Hair. • Wider Sweep Allows For Faster Cutting. • Includes Size 10 Wide Elite Cryotech Blade. • Choose Normal Speed For All Around and Precise Clipping Or Switch To High Speed and Get Over 4000 Strokes Per Minute For Quick Easy Body Clipping. • Powerful, Heavy Duty Two Speed Equine Clipper. Up To 3100 Strokes Per Minute. • Universal Motor Technology To Handle Any Type Of Animal S Coat Great For Body Clipping On 2Nd Speed. • Glides Through Thick Matted Hair Gently and Easily. • Detachable Blade System Can Be Used With All A5 and Power Pro (Blocking Blade, Coarse Blade, Medium Blade and Fine Blade) Cryotech Blades. • This Product Provides High Quality Professional Grade Results. • Innovative Handle Easily Fits Either A Mans Hand Or A Woman S Hand. • Soft, Fine Bristles Remove Dirt With Less Effort. Zinc alloy technology combines a lightweight ergonomic feel with heavy-duty long-lasting durability. High efficiency motor provides a cooler running experience. Vibration isolators centered around the motor to help absorb vibration and noise which results in added comfort. Clipper faceplate helps keep hair out while maintaining access to drive lever. Made in the usa. Clipper blade for a-5 compatible clipper.. Leaves hair 1/4 inch in length.. Use this high quality professional grade blade set in your clippers to give your pet a grooming at home.. . .
Clipper blade for a-5 compatible clipper.. Leaves hair 3/8 inch in length.. Use this high quality professional grade blade set in your clippers to give your pet a grooming at home.. . .